Composite: No.1 - 31. Regno di Napoli. 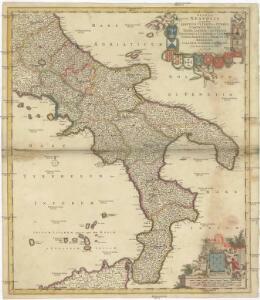 1 : 1100000 Mollova mapová sbírka Nolin, Jean-Baptiste Nolin, Jean-Baptiste I.
Kingdom of Naples or The Two Sicilies. 1 : 2550000 Tanner, Henry S.
1 : 1910000 Migeon, J.